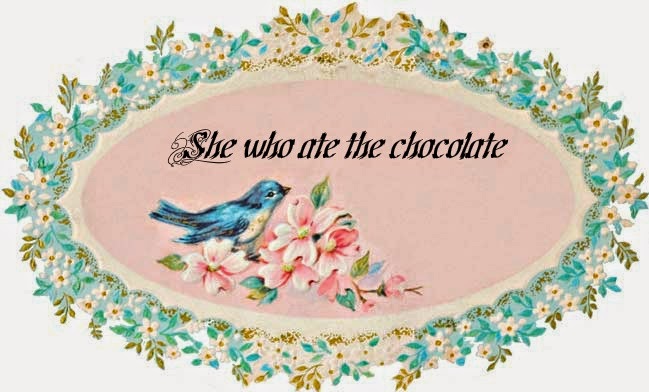 She who ate the chocolate: Are you kidding me? Almost this whole month has been a joke of the universe. While on my way to New York I lost my cell phone going through airport security. How does this happen? It was right there! While in NY I got sick. It didn't really hit me until I got home. Then it was like the plague. The last straw is that I got into a car accident on Sunday. Nobody got hurt thank goodness but my car is now in the shop and i'm sure my insurance rates are going to go up. Blah. On top of all this i'm flat broke. I really don't get it. I keep trying to think of Job in the bible, how he kept his faith through all the crap that happened to him. How did he do it? Was he gummpy and snappy or did he cry all the time. Because those are the only two emotions I'm feeling this week. I know it seems like i'm just whining. Maybe i am. Maybe i just want life to be simple for a change. Why isn't my normal like everyone else's. Why can't my family see to dig themselves out of this hole. I hate feeling like this.